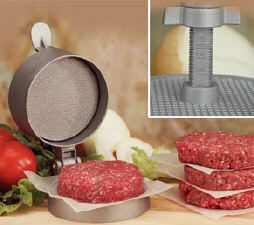 Creat the perfect burger with The Hamburger Press! Form your patties and put staright on the grill or create pre-made patties that can go right from the freezer to the grill without thawing. Perfectly seasoned and proportioned every time!